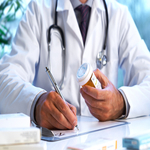 Drug Alcohol Treatment Center Orange County - Blog: How to Get Doctors to Stop Overprescribing? How to Get Doctors to Stop Overprescribing? If you think that doctors understand that they are one of the major enablers of the prescription opioid epidemic, you may be troubled to learn that many doctors are prescribing opioids the same way they always have. In fact, new research suggests that even when the government warns doctors who are overprescribing, their prescribing practices rarely change, Reuters reports. The research was published in Health Affairs. With 44 people losing their life to prescription drug overdoses every day, it is hard to believe that some doctors are unaffected. If a doctor is found to be prescribing more narcotic medications than their peers, a government agency may send the physician a letter with the hope that it will bring about change. Unfortunately, researchers at the Mailman School of Public Health at Columbia University found that the letters did not lead to prescription reductions, according to the article. While the findings are troubling to say the least, the researchers hope their study will result in the development of methods that will force physicians to heed the request of the government. About 60 percent were general practitioners. 20 percent were nurse practitioners. The risky prescribers were split into two groups, one of which received a letter from the Centers for Medicare and Medicaid Services, according to the article. The researchers saw little difference in the prescribing practices of both groups after 90 days.